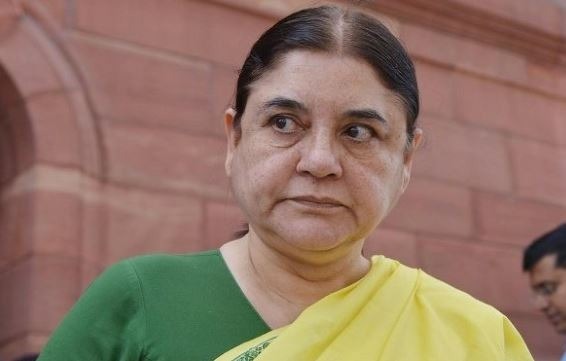 Union Minister Maneka Gandhi was served a show-cause notice from the District Magistrate of Sultanpur, from where she is contesting the Lok Sabha elections. A camera captured her telling a gathering of Muslims to vote for her or else she won’t respond to their requests. A report was also sent to the election commission of India, “The Election Commission has taken cognisance of the matter. District Magistrate, Sultanpur has issued a show-cause notice to her and a report has been sent to the poll body,” BR Tiwari, Additional Chief Election Officer said. “This is important. I am winning. I am winning because of the love and support of people. But if my victory is without Muslims, I won’t feel that good. My heart will become sour. Then when a Muslim comes to me for work, I think let it be, how does it matter. It’s all give and take, isn’t it? We aren’t all sons of Mahatma Gandhi, are we? . It’s not that we keep on giving and then losing in the election. This victory will happen with or without you (referring to Muslims). Congress party spokesperson said should be a strict action and that the minister should be sacked for her remarks and for “dividing people”. The minister later clarified saying that the media twisted her comments, but a three-minute video clip had already gone viral on social media by then. Maneka Gandhi, the lawmaker from Pilibhit, began her campaign from the Sultanpur seat about 10 days ago. The seat is currently held by her son Varun Gandhi. But this election, Varun has shifted back to Pilibhit, a seat he won in 2009. Maneka Gandhi has won the Pilibhit seat six times.